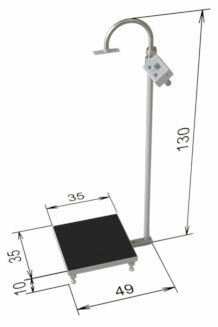 PCE-PS 200MM scale for people is used for weekly or even daily control one’s weight. You could check if your weight is moderate with the PCE-PS 200MM scale for people which also includes a height rod. The PCE-PS 200MM scale for people has a skidproof platform to prevent accidents caused by slipping (for instance after a shower). 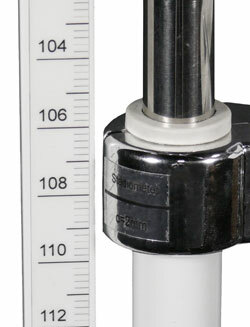 The mechanical height rod allows to measure height simultaneously with weight. The height rod can be adjusted on one side so other people can also check the height (as in the hospital or medical centre) while the patient is standing on the scale. 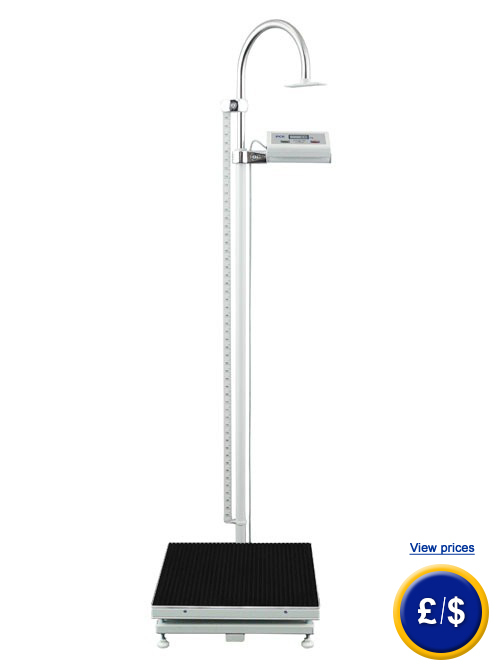 With the PCE-PS 200MM scale for people it is very easy to calculate the Body Mass Index (BMI). Here you can find the scale for people with automatic calculation of the body mass index. The body mass index is the most widely used diagnostic tool to identify weight problems, whether individuals are underweight, overweight or obese. The body mass index is calculated according to the following formula: Weight (k) divided by the square of his or her height (m²) or BMI = x kg /(y m * y m) where x = the weight in kg and y = the height in m. Here you will find an overview of all the scales for people. If you have any questions about our scales for people, please send us an email or call us and our engineers and technicians will be happy to advise you regarding the scale for people that best suits your needs.